Kano Pillars and Gombe Bulls have qualified for the 2017 FIBA Africa Club Championship. They will represent the zone in Tunisia. 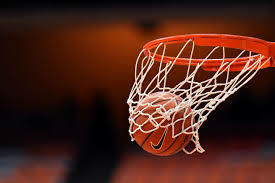 At the end of the competition hosted by the Nigeria Basketball Federation in Lagos between November 11 and 18, Kano Pillars Basketball club went unbeaten winning all their five games played against Gombe Bulls, Aspac of Benin Republic, Civil Defence of Abuja, Mark Mentors of Abuja and Customs of Ghana. Bulls only lost a game to their arch rival, Kano Pillars, on match day 4 and beating other clubs to lay claim to the second space and punch their tickets to the finals for the first time in their history. Gombe Bulls had to wait till overtime against ASPAC of Benin Republic on their final day of the competition before picking their ticket to the finals. Kator Gar powered his team to another historic win with 17points, three assists and five rebounds to hand Bulls their first ever continental ticket. Abdulwahab Yakubu with 36 minutes of action on the court scored 16 points and four assists while Sylvanus Yakubu and Ibe Agu both weighed in with nine points apiece. For Pillars, it was a stroll in the park against Customs whom they blew out in the final game of the competition played in a round robin format. Kano Pillars' Abdul Yahaya (203-F-90) emerged the most valuable player of the tournament and one of the tournament's best five players. Pillars' legend, Abubakar Usman (191-G-86), who had a sterling outing during the competition, was also named as a member of the competition's best 5 players alongside Customs' captain, Dodzi Baniba (G-83). Mark Mentors' Victor Ocheibi, Bulls' Kator Gar completed the list.